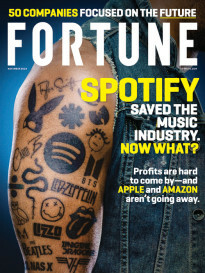 FORTUNE — If you were to list the factors with the biggest potential impact on the business world over the next few decades, you’d likely cite some common themes – evolving technology, the globalization of markets, and fiscal challenges in Western countries, perhaps. But here’s one you might not have considered: women. According to our research, nearly 1 billion women will enter the global economy for the first time in the coming decade alone. And they will dramatically reshape the world of business and economies, globally. Who are these women? We call them the “third billion,” in that their economic impact will be just as significant as that of the billion-plus populations in China or India, respectively. While these women have been overlooked in many markets — and actively suppressed in others — they are increasingly taking their place in the global economy, as both employees and entrepreneurs. It will not be long before they take their place as executives as well. Once these women begin to earn positions of leadership, they will change the economic potential and corporate culture of the world’s most esteemed organizations. To date, these women have lacked the fundamental requirements needed to contribute to their national economies. They either haven’t had the necessary education and training to work, or — more frequently — they simply couldn’t, because of legal, familial, logistical, or financial issues. Of the roughly 865 million women who will be of working age (between the ages of 20 and 65) by 2020, according to the International Labour Organization, 812 million live in emerging and developing nations. MORE: Can a mentor help you balance work and family? For the private sector, this emerging workforce represents a significant opportunity. Greater participation from women — on the assembly line, on sales calls, in R&D labs, and in the boardroom — can inspire growth and open new markets. Companies that understand this are already taking measures to better integrate women around the world. For example, Goldman Sachs (GS) launched the 10,000 Women initiative, a five-year, $100 million effort to provide business and management education to female entrepreneurs. These women have grown beyond microfinance but don’t yet have the track record to access traditional forms of capital. The program, now operating in 22 countries and working with more than 80 local partners, provides practical training in operations, human resources, and business plan development. As of May 2012, more than 6,000 women had enrolled in or graduated from the program, and Goldman has begun working with the public sector and nongovernmental organizations to increase the program’s reach. For countries struggling to break out of economic doldrums, women represent an even bigger opportunity. Our estimates (which are conservative) show that if female employment rates were to match male employment rates in the United States, overall gross domestic product (GDP) would increase by 5%. In Japan, such a change could raise GDP by 9%. In developing economies, the effect will be even more pronounced. The United Arab Emirates would see a boost of 12% in GDP, and the Egyptian economy would grow by 34%. The rising tide of the third billion is being enabled, in part, by progressive-minded countries that recognize the economic opportunity that women present and are taking steps to empower them. They’re offering better access to education for girls, instituting policies regarding the care of children and the elderly, supporting entrepreneurs, and enforcing access-to-work policies for women. 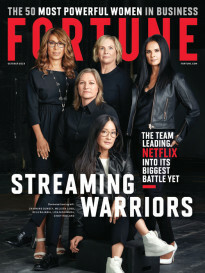 All of these changes raise an intriguing question: As more women join the workforce over time, how will Fortune’s Most Powerful Women (MPW) list change in the coming decades? More specifically, what will it look like in, say, 2040? While no one knows for sure, we have some ideas. First, the international MPW list will become far more diverse. As several developing economies continue to post growth rates far in excess of that of the United States, the world’s economic center of gravity will shift. The women who make up the list in 2040 will increasingly be from countries like Botswana and Brazil, Egypt and El Salvador, China and Chile. In fact, it’s possible that at some point, the list won’t have two main categories — U.S. women and international women — as it does today. Instead, with economic clout disbursed among a handful of strong economies, the list could change to geographically reflect and align to the new centers of power. There could be, say, a list for the most powerful women in Asia, another for Europe, a third for Latin America, and another for the U.S. The list will also likely include far more entrepreneurs and self-made women, rather than those running long-established companies. Because the largest developing countries are growing so quickly (including the BRIC countries of Brazil, Russia, India, and China), their economies are more dynamic and vibrant than the developed economies in Europe and North America. Fueled by technology, the changes taking place in these markets make them ripe for disruptive ideas and world-changing businesses. This means that talented women will have the opportunity to rise faster. Already, half of the world’s self-made female billionaires are in China, and a quarter of that country’s entrepreneurs are female. In Egypt, about 20% of all firms are owned by women, and — unlike the women-owned businesses in many other countries, which tend to cluster in local service sectors — these span a broad range of industries. In Egypt, women-owned companies account for 20% of firms in the chemical and pharmaceutical industry and 15% of firms in the food industry. MORE: Marissa Mayer’s brief maternity leave: Progress or workaholism? The Most Powerful Women list in 2040 will likely see greater turnover, as women appear on the list and are then surpassed by others. This is akin to a global version of the U.S. technology booms of the late 1990s and the one we’re currently in today. Good ideas can flourish relatively quickly, without requiring significant capital, and often their primary risk is in being overtaken by other, better ideas. On the global front, this translates into greater opportunities for women — as the world flattens — but also greater competition. Finally, here’s a radical proposal: The most significant development of the Most Powerful Women list is that by 2040, it may not exist, because it won’t need to exist. If women continue the progress they’re making already in many markets around the world, and the business world becomes truly equitable, there won’t be a separate, stand-alone list of powerful women but rather powerful executives, period. The primary criteria for the men and women on that list will be performance, instead of gender. Now that would represent real progress. DeAnne Aguirre is a senior partner with Booz & Company based in San Francisco. She is the global leader of the firm’s people and change team.